After another spectacular Wimbledon tournament moves into the history books, we can’t help but start to get excited about the US Open just around the corner. The incredible Rodger Federer won his record-extending 19th major Open title after overcoming Marin Cilic in straight sets on Center Court. It was another phenomenal accomplishment for the 35-year old, as he finished the tournament without dropping a single set, becoming only the second player to do so in the Open era. However, we now look forward to the last of the four major events that comprise the Grand Slam, the highly anticipated US Open. It’s always a terrific competition and the last chance in the calendar year for tennis lovers to get their fix and see the best of the best in action. The magnificent spectacle takes place in New York and will kick off on Aug. 28 and come to a close on Sept. 10, ending another thrilling Grand Slam season. With Federer winning Wimbledon he will undoubtedly be heading into the tournament as one of the favorites and the latest tennis odds price him up at +150 to win his sixth US Open. The last time Rodger won the event was back in 2008 after defeating Great Britain’s Andy Murray in straight sets. His form recently suggests that Federer has no intention of slowing down as he gets older, and some could even argue that he’s playing some of the best tennis of his career. His display at Wimbledon was nothing short of remarkable and he played with a hunger that has been lacking in recent times. The 2016 champion Stanislas Wawrinka, or Stan as he’s more commonly known, defeated Novak Djokovic in four sets that year after coming back from one set down to deny the Serbian consecutive US Open crowns. But, injuries have plagues the Swiss and he has dropped out of the US Open, along with Montreal and Cincinnait. The major omission from the list of competitors this year is, of course, the hugely successful Novak Djokovic. He has recently announced that he will not be playing any competitive tennis for the rest of 2017, after an elbow injury forced him to retire from his quarterfinal matchup with Tomas Berdych. He has met with several specialists and it appears that he has sustained a “bruised bone due to excessive playing.” His physicians have recommended that he rest for a period of at least 12 weeks, which means his run of 51 consecutive Grand Slam appearances will unfortunately come to an end. Two-time US Open winner Rafael Nadal will also be plying his trade at the championship. He is definitely a player to watch and always plays with that gritty determination that has made him such a consistent performer over the years. Andy Murray will hopefully be there, too, but the Brit is racing against the clock to be fit after receiving a troublesome hip injury. His doctors are confident that it won’t be a problem, though, and Murray will be ready to play before the tournament begins. It is August now, which is wonderful, because in the United States, it can be very sunny and warm. Almost everyone loves the summer. Who wouldn’t? However, the players have played on court for six months. They have played on the hard courts, on clay, on grass. It’s taking a toll on some of the marquee players, who are resting their legs, arms, stomach, back and eyes. If you are very tired, then why not stop for a month? Many players, men and women, will continue to practice almost every day. For the entire year. That is very risky. The top men are pretty darn hurt. Stan Wawrinka announced he would not play Montreal, Cincinnati and defend his US Open title, due to a knee injury. The former No. 1 Novak Djokovic is done for the year. Andy Murray withdrew from the Rogers Cup in Montreal. The same goes with Marin Cilic. Only Roger Federer and Rafa Nadal will play Montreal, which is great, because they are the best two players ever. But, can they be healthy when the US Open begins in a month? At Stanford, Maria Sharapova won a match, but the next day, her left arm was super sore, so she had to leave. She won’t play at Toronto, or maybe not in Cincy. She returned in April, and she really wanted to play again. On court, she looks pretty good. But immediately, her body froze and she couldn’t play on grass. Her arm has to be 100 percent to play, or she will get hurt again and she won’t be able to win another Grand Slam. She is a great player, but Sharapova has figure out what is wrong with her health. The two-time Slam champ Garbine Muguruza says she can be consistent and super powerful this summer on the hard courts. At this point, she’s the favorite at the USO. In Washington, Nick Kyrgios retired with a shoulder injury. He retires all the time. He is great to watch — when he is on — but he doesn’t take advice. Milos Raonic versus Jack Sock should be a terrific contest. … Kevin Anderson is playing extremely well as he upset Dominic Thiem 7-6(7) in the 3rd. … Some pretty decent players are in Los Cabos, with Tomas Berdych and Sam Querrey. CoCo Vandeweghe once reached the final in Stanford. Can she do it again? As long as she concentrates … We would assume that Petra Kvitova can win the tournament, but it will take a few weeks until she locks in again. Photos source: Marin Cilic via Facebook. 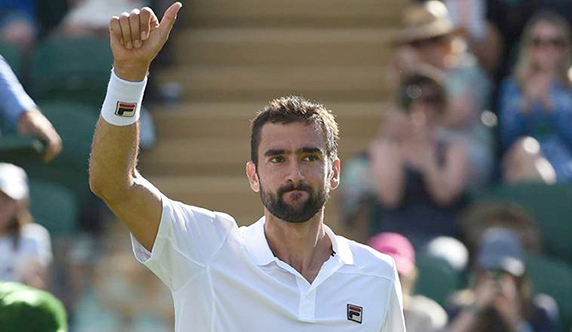 As Marin Cilic tried, but failed, to hold back the tears on court during the Wimbledon final, most of the viewers sympathised with his plight. The meeting with Roger Federer marked one of the biggest moments of the Croat’s career, and his inability to deliver his best game because of injury was devastating on both a personal and sporting level. Yet the drama of the tears should not divert attention from what was a terrific tournament for Cilic. 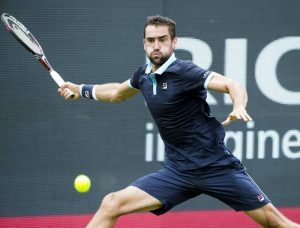 Cilic was at the top of his game for most of the tournament, carrying on the form that took him to the final at Queen’s a couple of weeks previously. He battled past Rafael Nadal’s conqueror Gilles Muller, and powered past Andy Murray’s tormentor Sam Querrey. In the final, conditions conspired against Cilic and he was unable to add a Wimbledon trophy to his US Open title from 2014. However, he will be emboldened by the knowledge that his top level is as good as anyone else’s on tour currently. Cilic is available at odds of around 15/1 across bookmakers, marked as the leader of the pack behind the big five players. That five could become four with Novak Djokovic sparking rumours of missing the US Open due to injury, but nevertheless, the prices available suggest that a likely winner will come from the usual suspects of Murray, Nadal, Stan Wawrinka and Federer. Therefore bettors could be advised to treat the longer shot of Cilic as a risk-free punt by utilising the free bet no deposit offers detailed by Oddschecker. Yet it looks the stranglehold of the fantastic five on the sport is loosening its grip. Whilst Federer has had an unprecedented resurgence to the peak of his game, his fitness will inevitably catch up with him soon. Nadal is a different proposition on clay courts compared to other surfaces, such as the hard courts of the US Open. Djokovic has his aforementioned physical worries, and Murray appears to be suffering from similar fatigue. 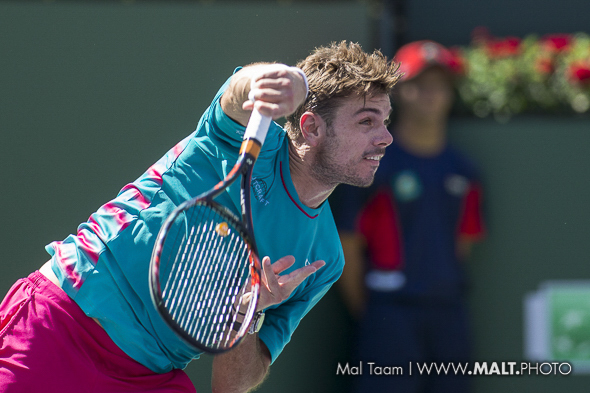 As for Wawrinka, on his day he is unbeatable but his days are few and far between. Therefore the stage is set for an outsider such as Cilic to surge to glory. Cilic has the benefit of being a Grand Slam winner already, an honour only shared by Juan Martin Del Potro outside of the game’s elite. Del Potro is a magnificent player but his fitness is always a concern. Meanwhile, the younger prospects like Dominic Thiem, Alexander Zverev and Lucas Pouille seem to be slightly short of the mental fortitude required to triumph at a slam. Their time may well come, but for now it looks like there is an opportunity for Cilic to add to his Grand Slam collection. If he were to meet Federer in the final at the US Open, then Cilic will not be intimidated. Federer at Wimbledon is almost legendary, but Cilic will back himself to take down any opposition at the US Open if he can turn up in top form.